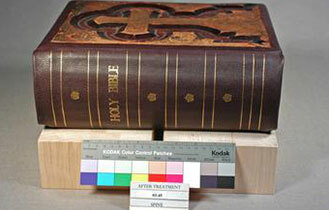 Late 19th Century Bible: The original spine was too degraded to save. New leather was toned to match a mid-tone of the original leather. 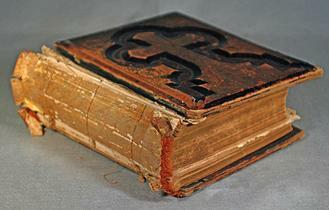 The textblock was consolidated, new leather spine added and board edges recovered with leather. 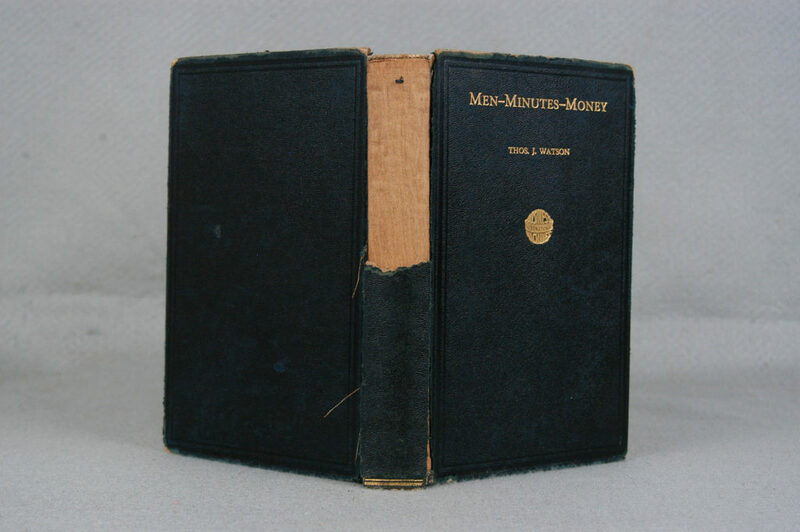 20th Century Binding: The original leather spine was broken and half was missing. 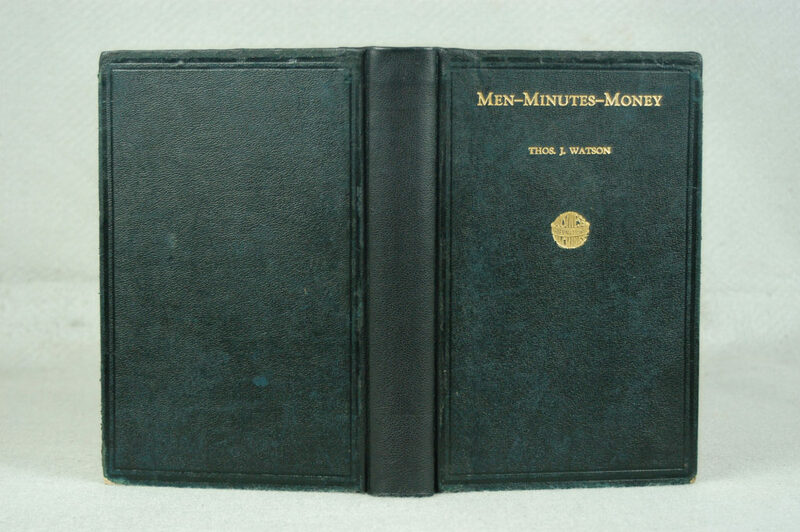 A new leather spine was made to match the binding but the original was not retained as the portion left contained no identifying information. 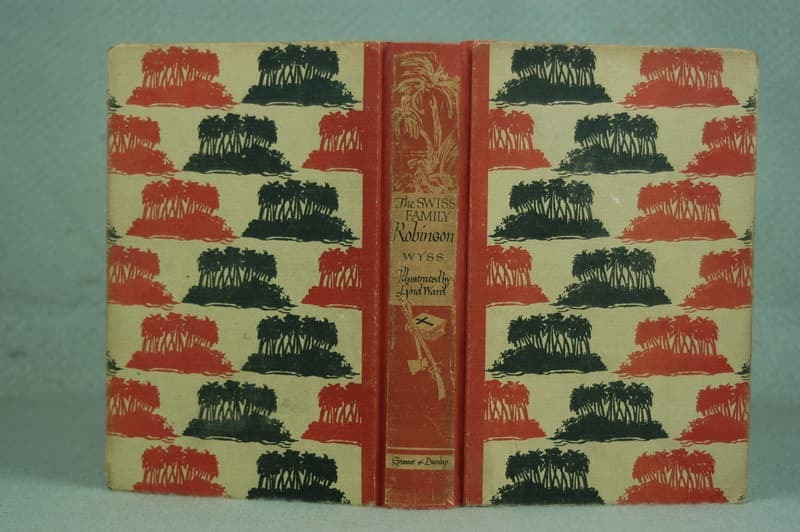 20th Century Swiss Family Robinson’: The original spine was torn. A new spine was made from heavyweight Japanese tissue toned to match the original spine. 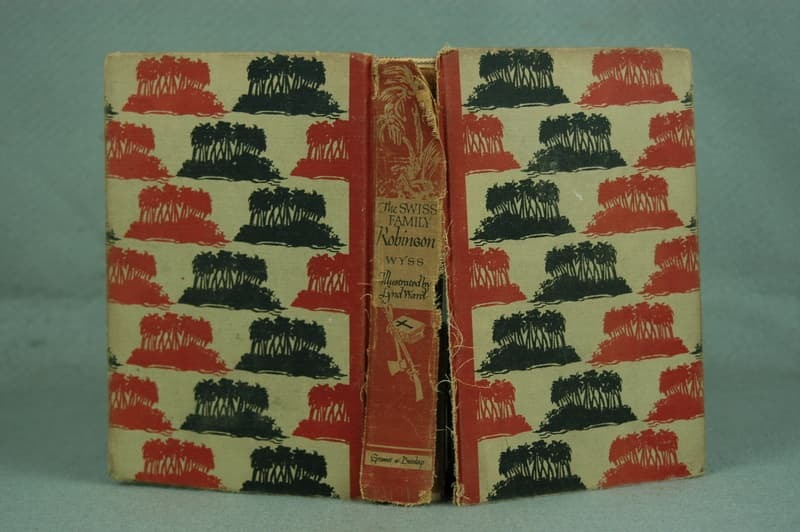 The original spine was adhered on top. 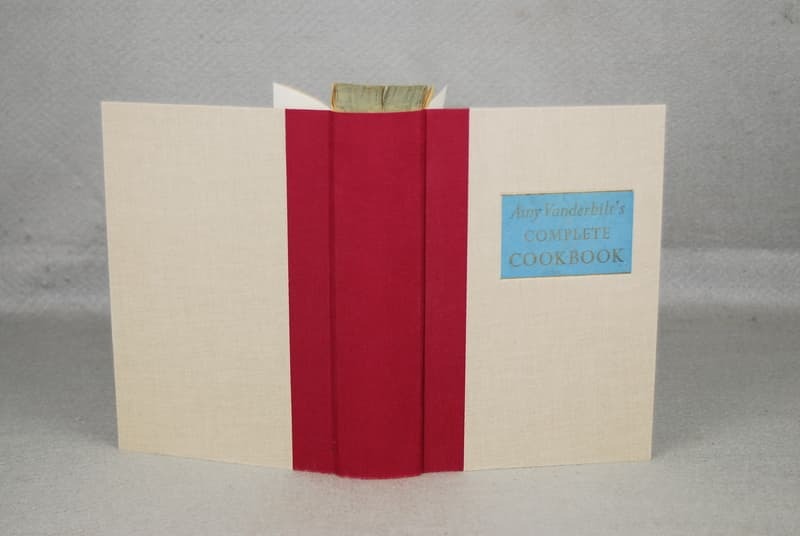 20th Century Amy Vanderbilt’s Complete Cookbook: The original binding was broken, dirty, and the spine was missing. 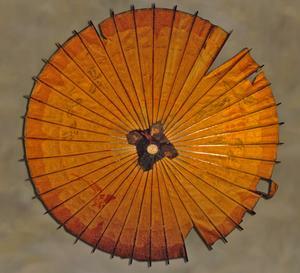 A new binding was constructed to mimic the original binding. 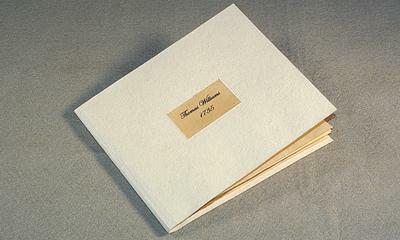 The original titling label was saved and inset on the front cover. 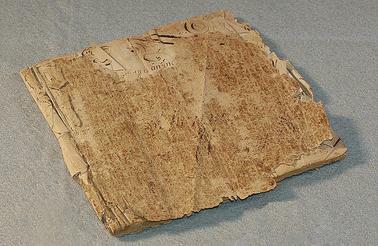 18th Century Manuscript: This handwritten manuscript had been severely damaged by mice. 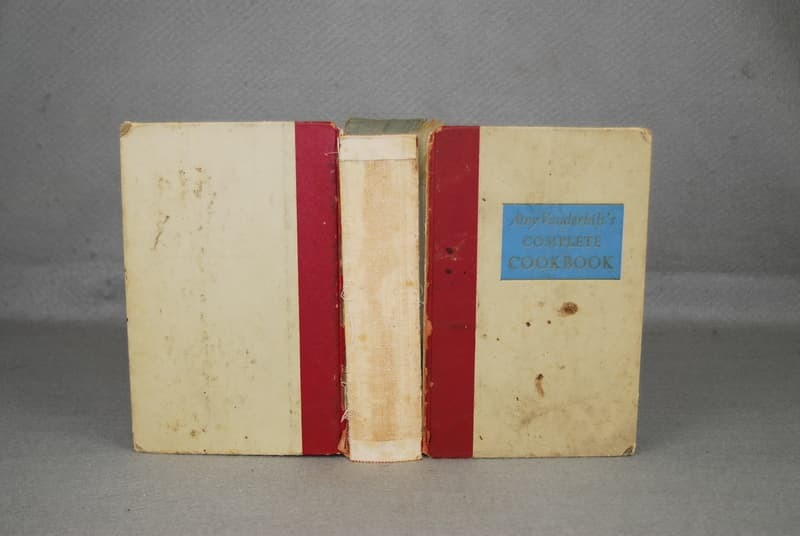 The cover was deteriorated beyond repair, but retained separately for the owner. 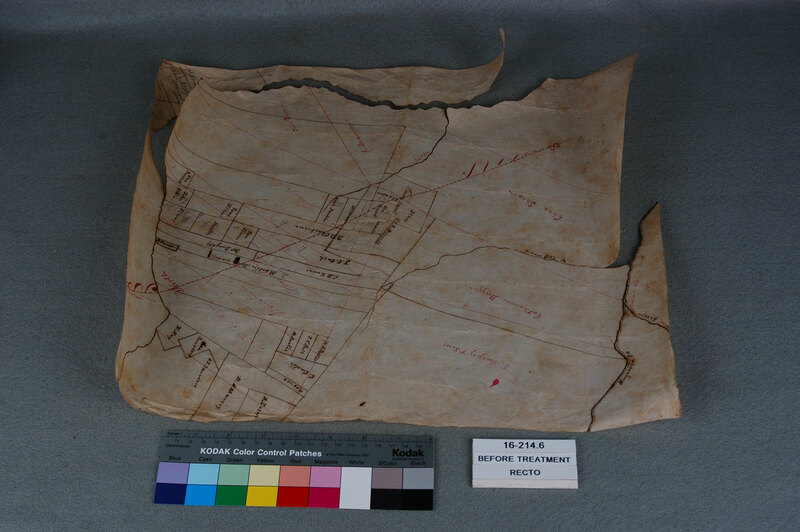 Losses were filled with linen paper toned with acrylics to match some of the mid-tones of the older paper and the manuscript was re-sewn into a new cover of handmade paper. 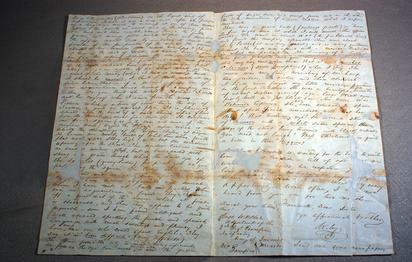 19th Century Personal Letter: This letter was written in iron-gall ink on handmade paper. 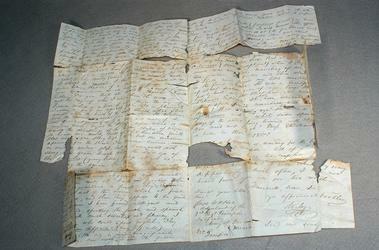 It had been stored folded with most of the tears and losses occurring along the folds. It was washed, then tears were mended and losses filled with Japanese tissue and wheat starch paste. 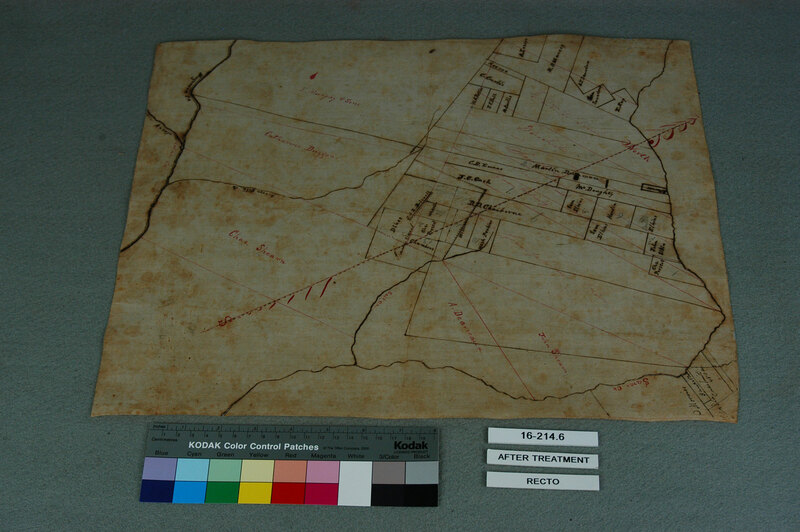 Early 20th Century Map: The map was torn along the heavily inked lines. The map was humidified, flattened and mended with Japanese tissue and wheat starch paste. 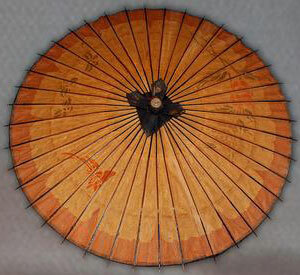 20th Century Parasol: This paper parasol had minor tears and losses. The tears were mended and losses filled with Japanese tissue toned with acrylics and wheat starch paste.